In recent weeks, the world’s youngest nation, South Sudan, has taken positive steps as a responsible advocate and defender of human rights. South Sudan’s National Legislative Assembly has passed bills for the ratification of the U.N. Convention on the Rights of the Child, or CRC, and the U.N. Convention against Torture. While these two conventions must still be signed into law by South Sudanese President Salva Kiir, they represent legitimate attempts by South Sudan to uphold international human rights standards. The CRC and two Optional Protocols were fittingly passed on Universal Children’s Day, November 20. Awaiting the signature of President Kiir, South Sudan will become the 194th nation to pass the CRC, which includes protecting the civil, cultural, economic, political, and social rights of people under 18 years old. Similarly, the Convention against Torture was passed by the National Legislative Assembly on December 3, and its full ratification will make South Sudan the 155th nation to commit to the prevention of acts of torture or other forms of cruel, inhumane, or degrading treatment or punishment. While these conventions represent South Sudan’s progress in promoting human rights and agreement to hold themselves accountable before the international community, there are further steps to be taken. The two conventions must still be signed into law by the President and fully implemented through the development of national law and the creation of enforcement mechanisms. 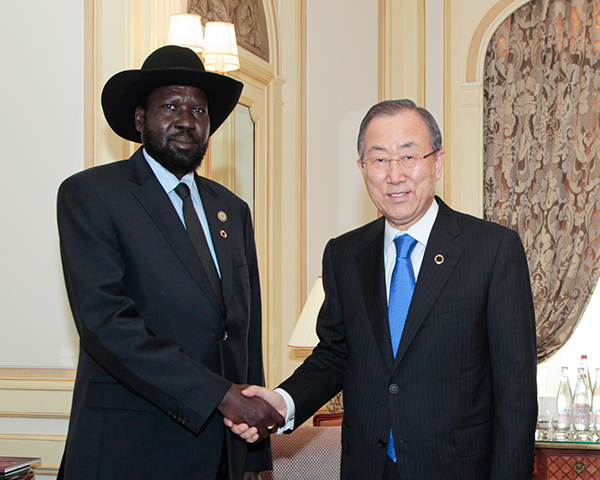 In addition, South Sudan should continue these positive developments with the ratification of other international human rights conventions such as the Convention on the Elimination of All Forms of Discrimination Against Women, or CEDAW, and the International Covenant on Economic, Social and Cultural Rights, or ICESCR. In light of the conventions on child rights and prevention of torture and South Sudan’s recent bid for a seat on the U.N. Human Rights Council, it is clear the young state is beginning to take human rights issues more seriously. We are looking forward to seeing President Kiir sign these two human rights conventions into law and moving South Sudan closer to becoming a responsible, accountable member state to the United Nations.